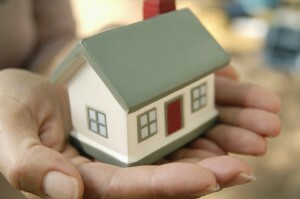 Walton & Allen understand that moving house is one of the most stressful things a person can do. That’s why we aim to make sure that everything goes as smoothly as possible right from day one. From finding the perfect home to moving in we’ll be there every step of the way. This guide should help you when planning on moving into a property as a tenant. Please note that all move ins are subject to contract. We’ll help you find your perfect home. You can browse our website and select from our listed properties, or give us a call and we’ll use our knowledge of the local market to help find the perfect house for you. Once you’ve found your perfect home, simply fill out your Credit Builder referencing form and send it through to Walton&Allen. Our fees start from £275, then all you have to pay to move in is a month’s rent in advance and a deposit of one month’s rent plus £100. Deposits are safeguarded by the Deposit Protection Service (Download our Tenant Fee Structure). First time tenants not in full time employment and students will be required to provide a guarantor (guarantor reference form) or submit the first six months rent in advance. Our tenancy agreement is straightforward with no legal jargon, so you know exactly what you’re signing up for. The new rules mean that agents need to carry out checks on all new adult tenants to make sure they have the right to rent property in this country. If you are an adult who intends to occupy one of our rental properties then each must complete the Right to Rent Form and give it to us when you come to our branch in person with the key identification documents listed on the form. We are obliged to certify that the documents you show us are legitimate and the photographs depict you in person. We transfer the utilities, so you don’t end up paying somebody else’s bill. We help you set up the standing order so you can be confident that you won’t miss a rental payment. Our in house maintenance team is available 24/7. An emergency out of hours callout is available for extra peace of mind. Walton&Allen will be on hand to take your call if anything in your home isn’t as it should be. If you decide to leave your rental property you simply need to notify us in writing no less than one month before you intend to leave. When you move out we will inspect the property against the inventory to ensure the property is in the same condition as when you moved in. Providing the property is in a satisfactory condition your deposit will be returned within 10 days. View our letting agents tenant fees. You can also download the Government ‘How to rent’ Guide for advice on renting a property. Worried you cannot get a mortgage? We may be able to find you a mortgage deal which suits your financial circumstances. Why not book a 30 minute appointment? Visit our mortgages page to find out more.